The Guide Online provides you with a whole host of powerful, easy-to-use features to supercharge your grants research and quickly zero in on funders that match your organization's mission and programs. 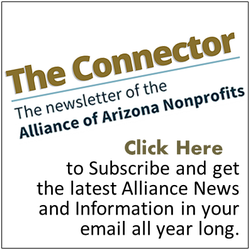 Continual updates of existing profiles and new or added funders give you instant 24-hour access to the most up-to-the-minute information available about grantmakers with an interest in Arizona. Hotlinks from our online grantmaker profiles connect you immediately to the funders' own web pages, for complete details about their grantmaking and community support programs. Flexible, powerful search capabilities let you zero in quickly and easily on your potential grantmakers by funding priority, target group, or keyword for geographic scope of giving, deadlines, sample grants, and more. Name search lets you search our profiles for program officers, board members, and other key behind-the-scenes individuals. Searchable sample grants listings show you exactly who the grantmakers are giving to - and let you find out who's giving to organizations like yours. Finally, you can save or print out all your search results of selected funder profiles.